I also love farm fresh eggs. 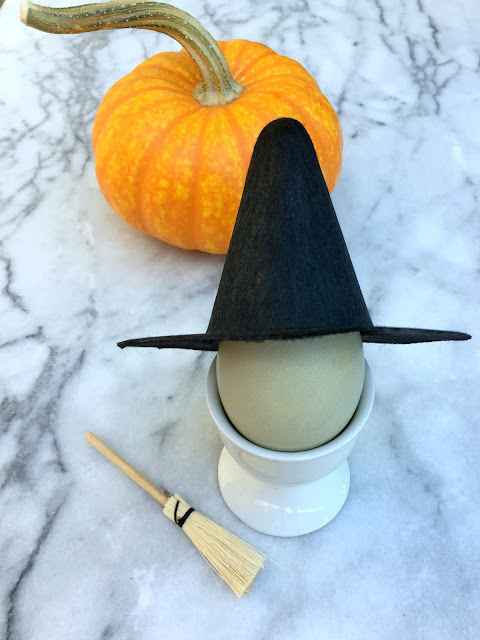 I'm combining the two and whipping up a little magic to give to friends. 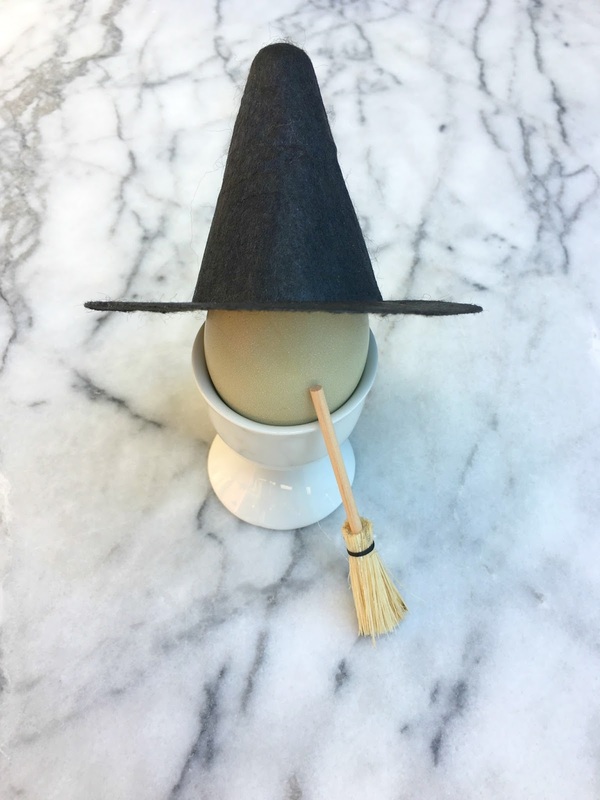 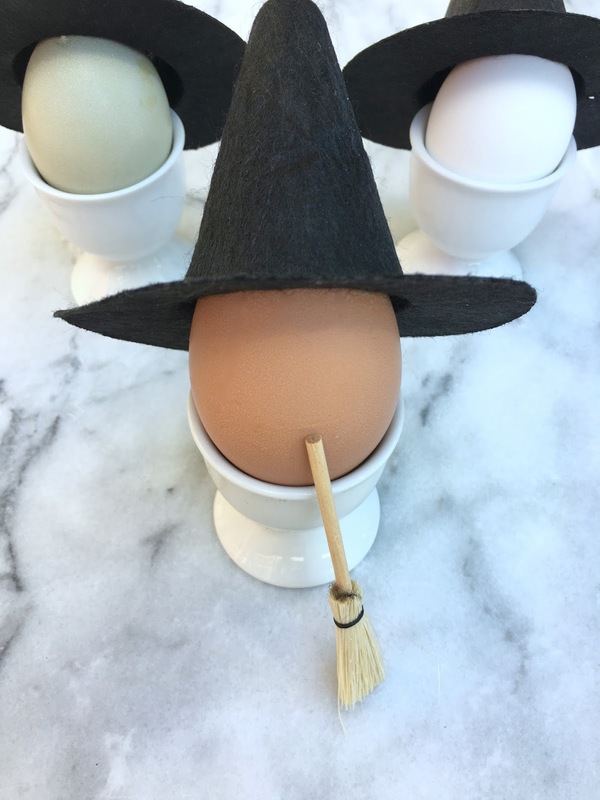 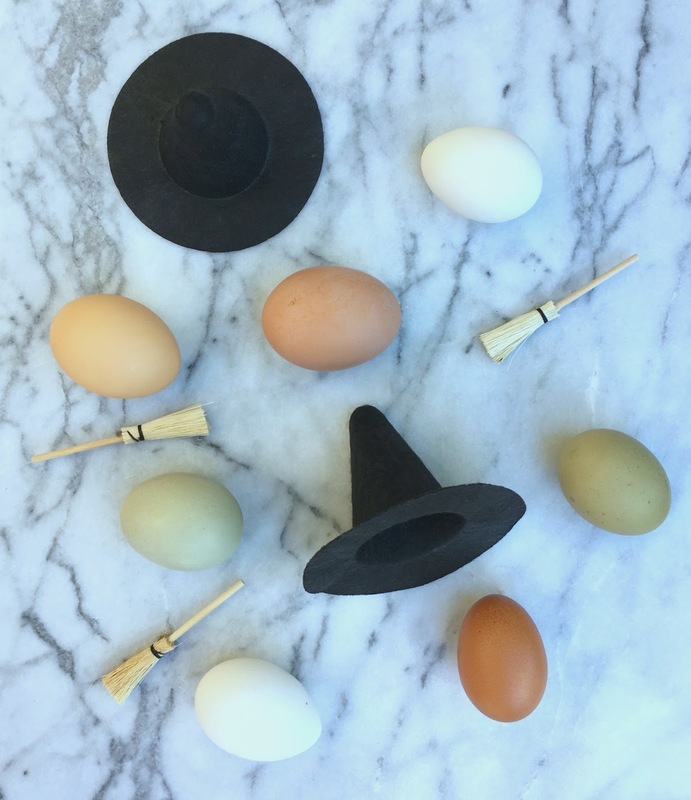 Gather fresh eggs, egg cup holder, mini witches' hats and brooms.